This is my choice for my latest book group. 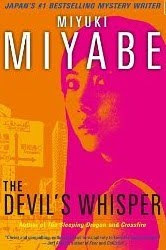 I hadn't read any of Miyabe's work before but as I'm into my Japanese writers at the moment, Amazon.co.uk thought it fit to recommend it to me. It turns out it was quite a good call. Despite my suspicions that the translation is far from top-notch, I found the novel quite absorbing and plot-driven. The main character, Mamoru, is a charmingly flawed sixteen-year-old who is thrown into an investigation when his uncle is arrested after hitting and killing a young woman with his taxi. 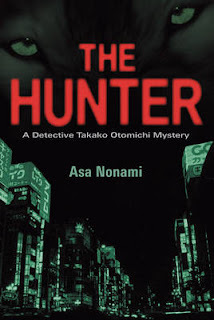 Mamoru is convinced things aren't as they seem and in a bid to clear his uncle's name, he sets off to find the truth behind the mysterious dead woman, the eerie man who calls him to congratulate him for getting her out of the way, and all the other strange bits of information that come to light in the wake of the 'accident'. I found myself racing through this book. It was incredibly easy to read and the characters were generally well-drawn. The details of the case are at times far-fetched but the twists showed the confidence of the writer to experiment and introduce something new and exciting to the crime thriller genre. As I said, images were sometimes a little too obvious and not as masterful as they could be, but overall, much enjoyed and I look forward to discussing it. Science fiction is generally not the area I hang out in at the bookshop but I'd heard a lot of good things about Charles Yu's debut. Turning to the first page, I read a short paragraph - the gist? Charles Yu, the narrator (and author of the same name) shoots himself. Hmm, strange I thought and exciting too. What on earth is going to happen in this novel? So, rewind or fast-forward, or goodness knows really (time is not governed in universe-31 like it is for us)... Charles is a time machine repairman, who has been hiding from life for some time. His father disappeared when he was younger, his mother lives in a repetitive time loop of only an hour, he is in love with his operating system (TAMMY) and he has an imaginary dog called Ed. After shooting himself, his future self gives him a book. It's called How to Live Safely in a Science Fictional Universe and he must use it to try and get himself out of the time loop he has created for himself. This book is bleak in some respects and hilarious in others. The whole set-up is believable because Yu writes it so well. We have the tiny details and the human eccentricities (even for TAMMY who is an operating system and Phil, his manager who doesn't know he's only a computer programme) added in to give real depth to the novel. The narrator, Charles is a bit of a sorry character but spending time with him is absorbing and even though he could do with a bit of sprucing up, you're still on his side. The time travel and technical aspects of the novel were accessible, even for someone like me who barely ever reads science fiction. And I think the difference was I found the characters were strong enough to make me forget the genre entirely and just jump on for the ride. Much recommended! To say this new collection of short stories by Sedaris is bleak would be a huge understatement. However, the originality and sometimes dark humour, makes it worth a read. The animals featured have seemingly human experiences i.e. : a bear plays on her mother's death to gain sympathy from the other animals who soon tire of her being so self-centered, a squirrel and a chipmunk have a relationship which is scorned by their families, a crow deceives a lamb and kills it's baby. Sometimes disgusting stuff and you wonder why you're reading it. However, I think Sedaris generally blurs the line between acceptable and risky, as I found in his other collection, Santaland Diaries, which had some real gems amongst some less accomplished pieces. I felt the same here. I loved some bits of it - they were intriguing and sometimes made me chuckle (such as the one about the crazy over-zealous rabbit!) but others were a bit of a step too far. However, my main gripe was the length of some of the stories. Just as I was getting into the swing of them, some of them would end abruptly. It left me dissatisfied at points. 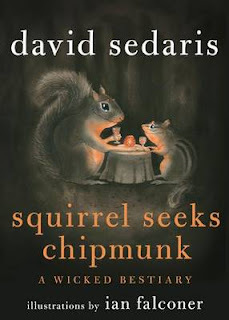 Still, worth reading if you enjoy Sedaris' dark take on the world and apparently, I mostly do. Ellipsis OUT NOW on Kindle!!! 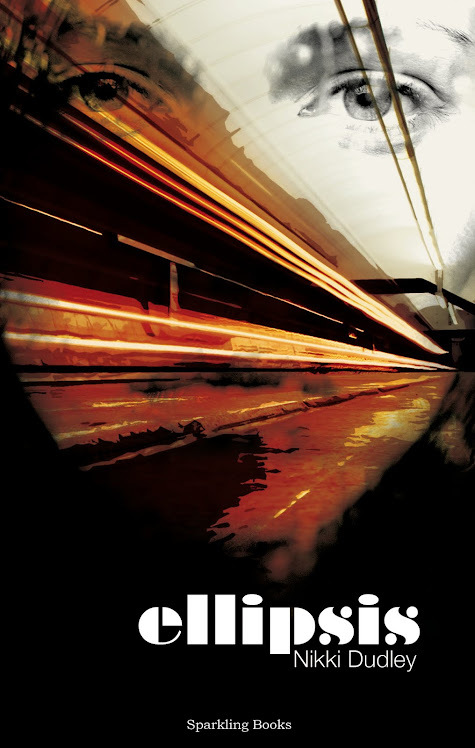 Ellipsis can now be bought for the Kindle! Very exciting! And very good to have this option for those who want to read novels differently.